First, Facebook announced that it will be opening up its Facebook Messenger platform to third party developers for app creation. Facebook had a handful of these new apps on hand for display, too. One of them, Score! on Friends, is a sports-themed Messenger app developed for the superfan. In the app, you’ll be able to choose your favorite pro or college sports team (though as a Scarlet Knight from Rutgers University, I must sadly relay that many colleges are nowhere to be found on the app). You can use it to send short sports clips to your friends, so if you know a Seahawks fan, you can spam them with the Patriots’ game-winning interception over and over. You can also record short “smashtalk” soundbytes and push them to all your friends. A second Messenger app, Zya’s Ditty, automatically generates music videos clips to match your text. 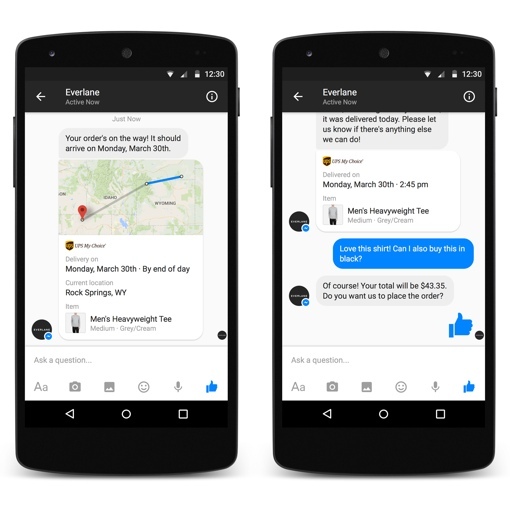 The most exciting Messenger feature of the bunch, however, is Businesses on Messenger (coming soon). The platform is designed to connect us, the e-shopping public, with the online businesses we buy stuff from, so we can ask questions. It’s a smart idea – it gives the public a way to ask questions (When will my package ship? Will that sneaker be available in 2E width again? Can I change my order to a large?) without the hassle of figuring out who to contact and how. Buisnesses on Messenger will only work with Everlane, Zendesk and Zulily at launch, but it will expand in the near future as more partners sign on. Facebook’s news feed is getting a sign-of-the-times update: It will soon be able to handle spherical, 360-degree video. The tech isn’t impressive on your home desktop, but spherical video is really designed for virtual reality (VR) setups. VR may not be ubiquitous today, but this could be a breakout year for the tech. Facebook recently purchased famed VR hardware-maker Oculus, and has placed its technology inside the new Samsung Gear VR that’s hitting store shelves this Friday. Meanwhile, the social networking company's Parse cloud services division had big news: The launch of Parse IoT, Facebook's new connected home platform. It's first product, also unveiled Wednesday, is the Roost Smart Battery. It's a small Wi-Fi-enabled lithium battery in a 9-volt shape, designed for placement in your home's existing smoke detector. It'll be able to alert you when your detector has gone off, and will send you notifications to your iOS or Android device when the battery is getting low before the obnoxious chirping begins. 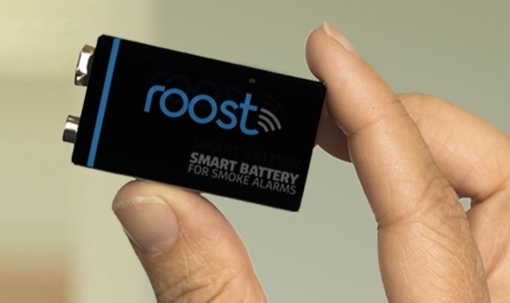 The Roost Smart Battery will cost between $30 and $40 when it launches in the second quarter of this year. You can learn more by visiting Smartroost.net. I would like to be able to search past posts to find certain topics to share with friends. I am THIS close to closing my Facebook account! I DESPISE having to use Messenger and now the mobile site keeps switching from m.facebook to t.facebook—and BACK again, all in the same session! I don’t know why it does that and I no longer care. I’m over it!